Running Press Miniature Editions, 9780762459810, 32pp. 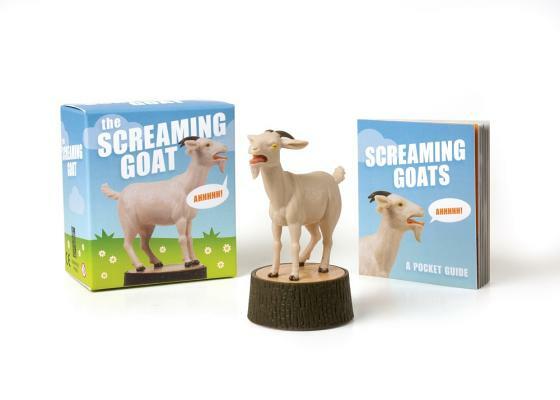 If you are a goat-loving fiend or you simply can't get enough of the screaming goat videos then you absolutely need to own a mini screaming goat. Your new goat companion sits on a tree stump and when you give him a gentle press he screams! The kit also includes a 32-page illustrated pocket guide of fun facts and trivia about everyone's favorite farm animal.